Is for players of all different standards. Starting with beginner sessions at 3:45pm and progressing through the evening to advanced classes. Group coaching is conducted on weeknights. Nine lessons per term. Private lessons are ideal for fixing stroke problems, developing game plans, working on strengths/weaknesses etc. Caters for rapid improvement. Intense and personal tuition. Offered both on a permanent or casual basis. (Lesson time to be arranged between coach & pupil). 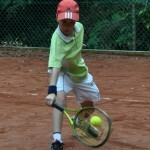 Is for players who want to learn and improve their tennis skills and game in a more concentrated form. Semi private lessons involve two pupils who share the fees. Offered both a permanent or casual basis. (Lesson time to be arranged between coach & pupils). A program specifically designed for 4-7 year olds. 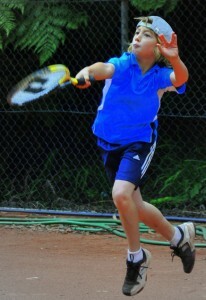 It is a basic introduction to the game of tennis. 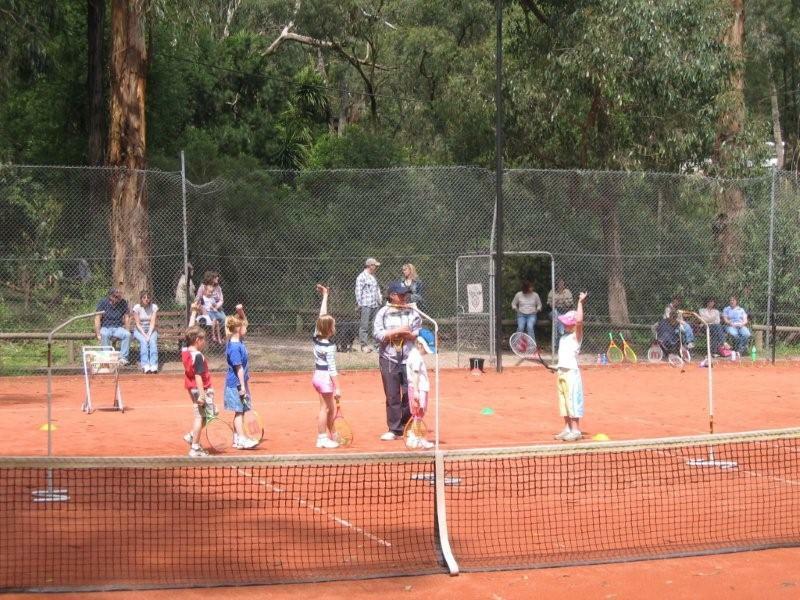 The aim is to teach children fundamental motor, footwork and racquet skills in a fun and non-threatening environment. 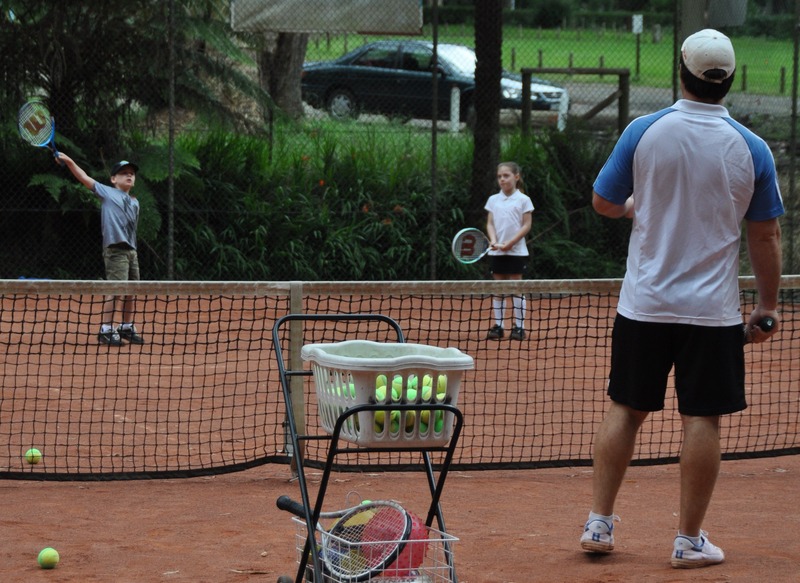 Specially designed “stayball-stands”, low pressurised balls and modified racquets are used. Children receive follow up activities. Lessons held weeknights. Nine lessons per term. 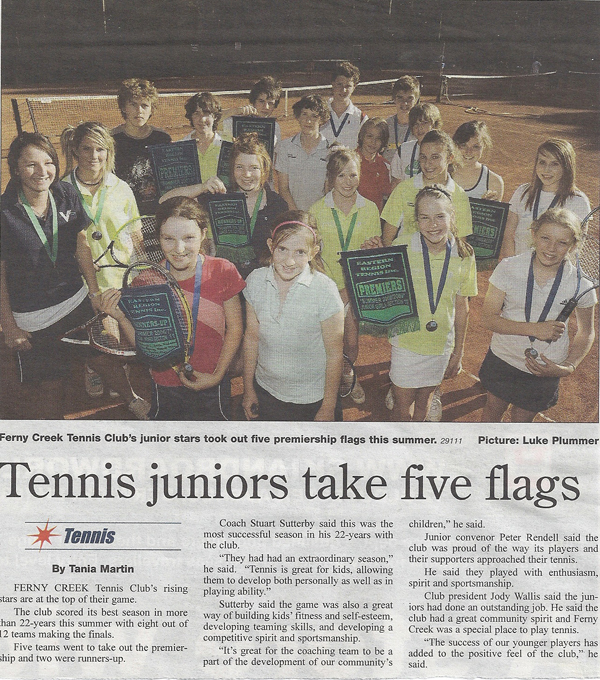 Squad coaching is an additional training session for the advanced pupil. 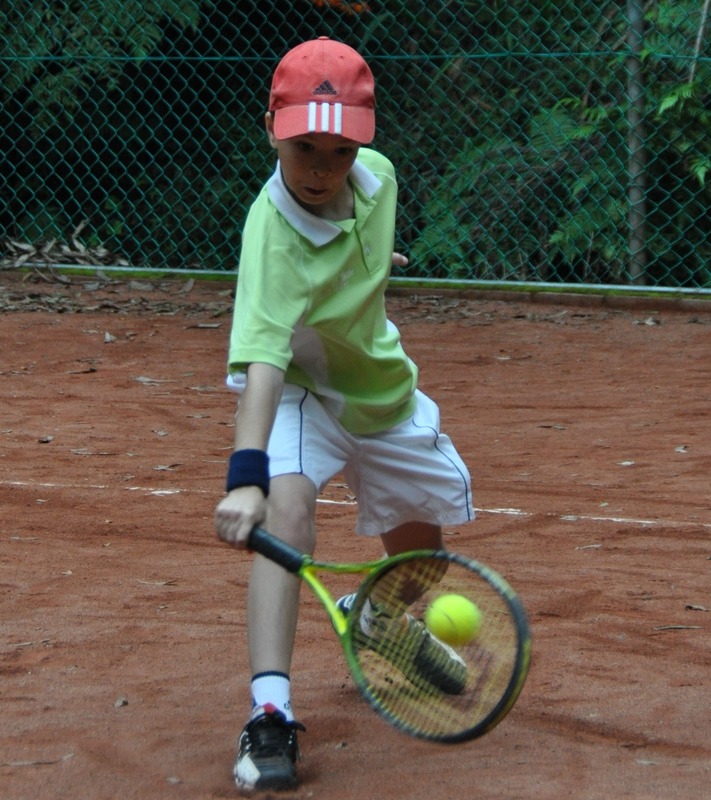 It aims to complement group/private lessons and focuses on match-play, strategy and fitness. Students are invited to join a squad as spots become available. Squad sessions run for 1.25 – 1.5 hours pending Squad level —9 weeks per term. 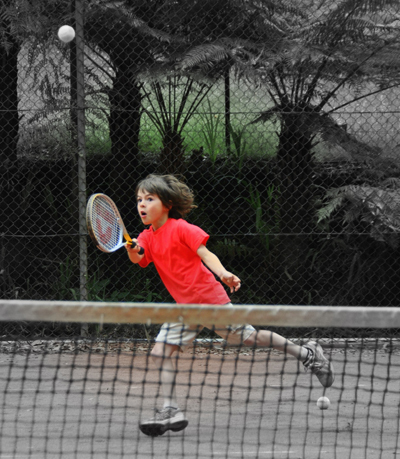 Practice with a Professional—groove your strokes, develop a weapon, improve a weakness…we offer hitting sessions with a Professional Coach that allow you to practice hard with focus. 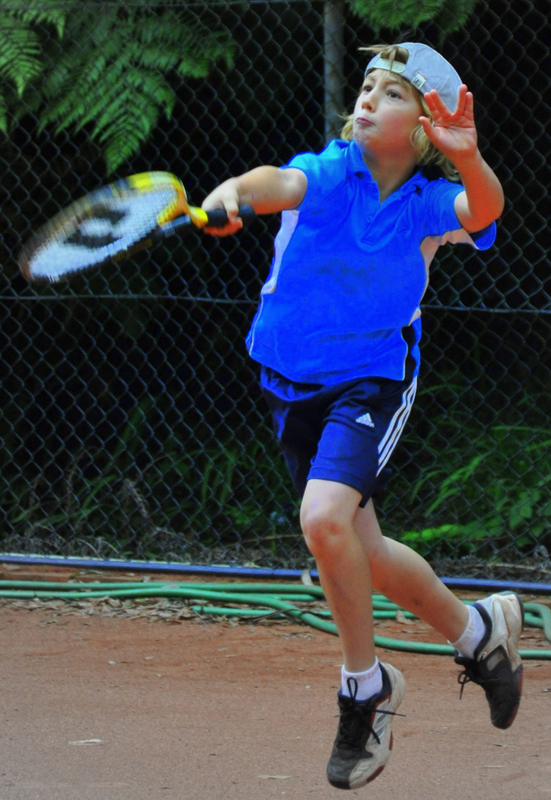 You can nominate what format the hitting sessions should take, eg: drilling, point play, mental or physical training etc or leave the planning to us—we’ll guarantee you a challenging yet enjoyable session. Bookings can be made on a casual or permanent basis. Ever wondered where & why your shots are breaking down? The process of analysis & correction is necessary for the most effective development of stroke production. Contact the Office to arrange session times and for costs. Copyright © Kozma Technology 2011. All Rights Reserved.